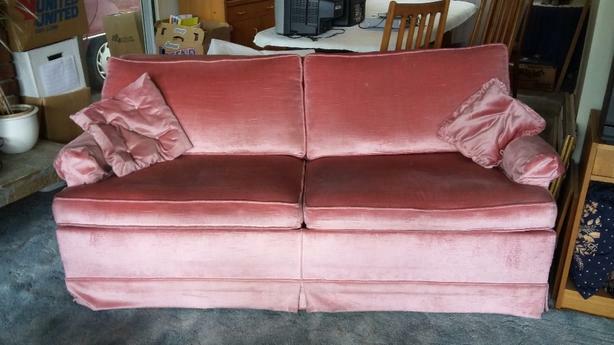 Pink Hideabed.very good condition. Never any pets or smokers or smoking pets EVER came near it! Its comfortable and clean and the best part is , IT'S FREEEEEEEeeeeeeeeeeeeee!